Gorgeous annual with its spikey, delicate flowers is a big attraction for butterflies. Two charming colors on one flower—light-pink at the bottom styling to fiery fuchsia-pink at the top! All-America Selections winner, this gorgeous annual with its spikey, delicate flowers is a big attraction for butterflies and hummingbirds all summer long. With purple-hued leaves in cooler weather, it’s lovely in garden beds, vases and dried arrangements. Celosia seed should be sown early indoors and transplanted outside after frost. Sow seeds thinly and barely press into seed starting formula as seeds benefit from light to germinate. Do not move plants to the garden until well past the last spring frost date. Temperatures below 60 degrees F during the day and 50 degrees F at night will retard growth. Select a location in full sun with good rich, moist, well-drained organic soil. Plants should stand 9 to 12 inches apart in the garden. Tall cultivars may need staking. Pinching back the first bloom will produce a bushier plant with more blooms. Celosia grows well with other annuals and perennials in sunny beds and borders. 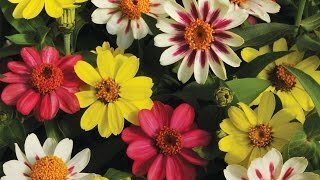 Also consider them for planting over bulbs or cool-weather annuals that finish blooming as soon as warm summer weather arrives. Low-growing varieties may be used as edgings or in containers. Tall varieties make fine cut and superb dried flowers. To dry, strip off the leaves and hang them in small bunches in a warm, dry place. Celosia, Asian Garden is rated 5.0 out of 5 by 1. Rated 5 out of 5 by pebblesr from "Attracts butterflies" is a huge understatement I was first introduced to Asian Celosia when I purchased a full size plant locally. It was long blooming and absolutely covered in butterflies. So I looked for the seeds, and found at Burpees. I started mine indoors but not sure it made much difference. They took off once in the ground, so probably would have been fine direct sowing, later. Early on they attracted all sorts of bees; later butterflies, and it's interesting as the type of butterfly varies as the season progresses. We had CLOUDS of butterflies. Expect every pollinator out there to love these. I tried to keep them bushier by cutting back, but the ones I cut back ended up being the tallest and most gangly; I don't know the trick of getting them to look like that first plant I bought locally, but it didn't really matter. Mine lined the side of a garage and also one side of a vegetable garden, and I ended up just letting them go. They were drought resistant, and constant color - they flowered from spring through frost, in fact a few survived our first frost. I used spikes of them to add height and interest to flower arrangements. I'd say I'd plant next year but judging from the seedlings coming up, I expect they will self-seed. Very pleased with them.